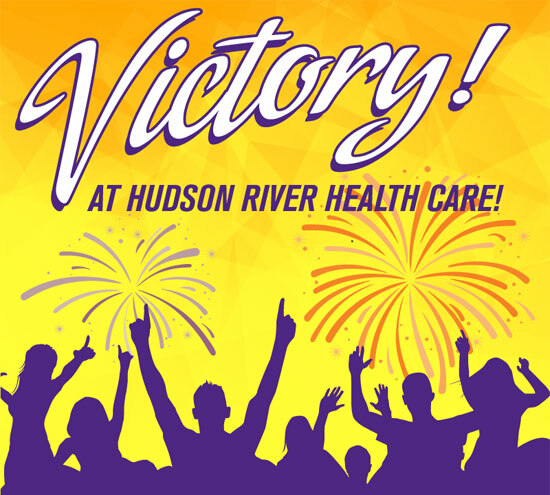 Today we welcome more than 50 new members from three Hudson River Health Care (HRHCare) community health centers in Long Island into the 1199SEIU family. The Registered Nurses, Licensed Practical Nurses, Laboratory Technicians, Patient Representatives and Navigators, Clinical Assistants and Outreach workers at the Southampton, Riverhead and Greenport HRHCare centers voted by 39 votes to six to join our union. By providing compassionate and professional care to people across Long Island, our HRHCare colleagues embody the spirit of the 1199 local. 1199SEIU is the largest healthcare worker’s union in the US, with more than 400,000 members in five states along the Eastern seaboard. We are one of the fastest growing unions in the country. As well as having a larger say in their working lives, the newest members at HRHCare voted to join our union to enable them to negotiate for 1199’s child care, job security, affordable quality healthcare and educational benefits.